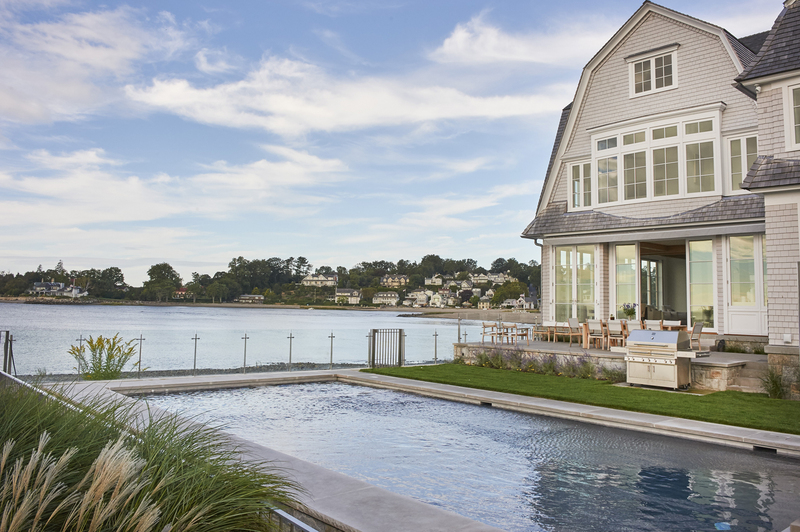 The site is an unusual and charming one, an island accessible via only by footbridge. 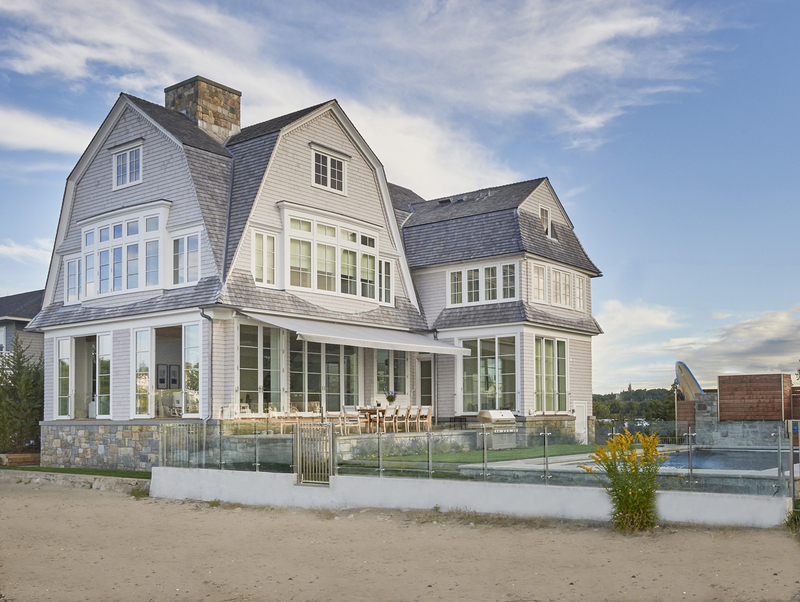 With direct Long Island Sound beach on one side and a tidal oyster pond on the other, the island of about 20 properties recalls its 19th century roots with many shingle style houses. 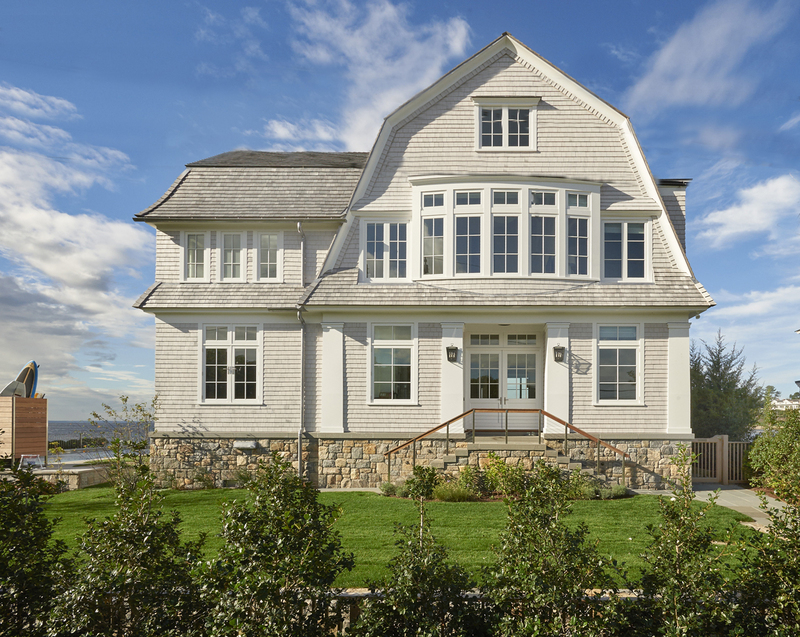 Our directive was to design a shingle style house placing it clearly in the 21st century on the exterior with open lofty modern interiors. 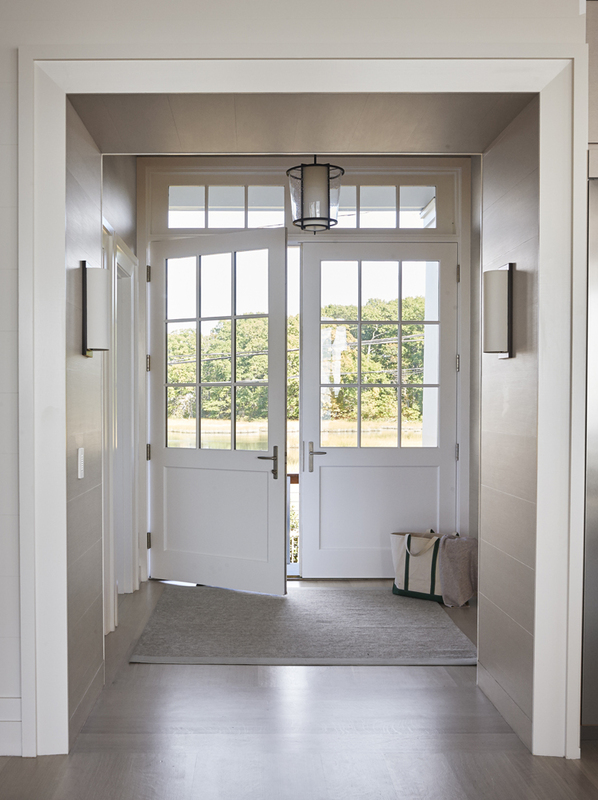 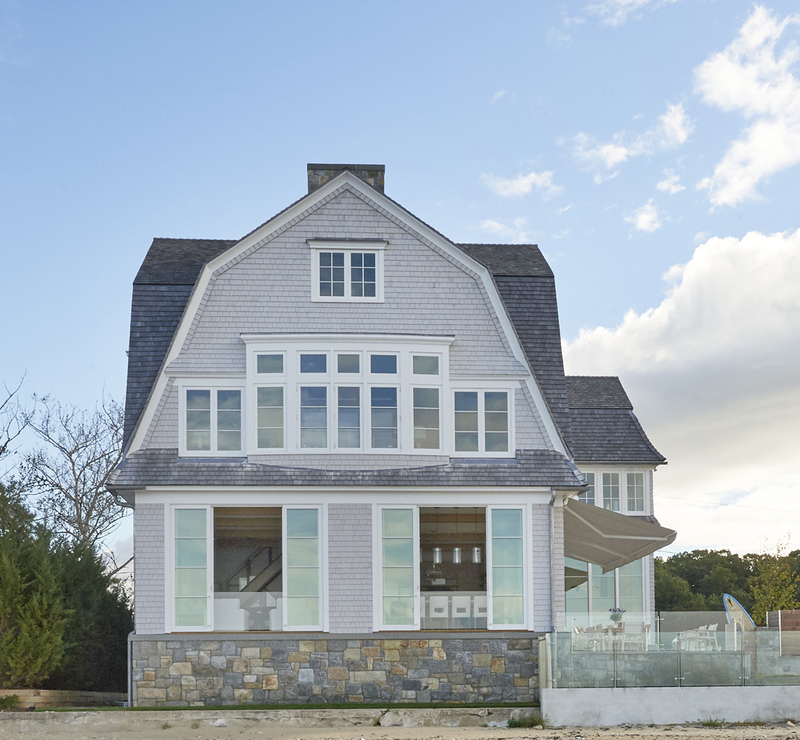 An expanse of floor to ceiling lift and slide glass doors and windows with oversize panes creates a contemporary aesthetic while the gambrel roofs and gray shingles are pure historic shore shingle. 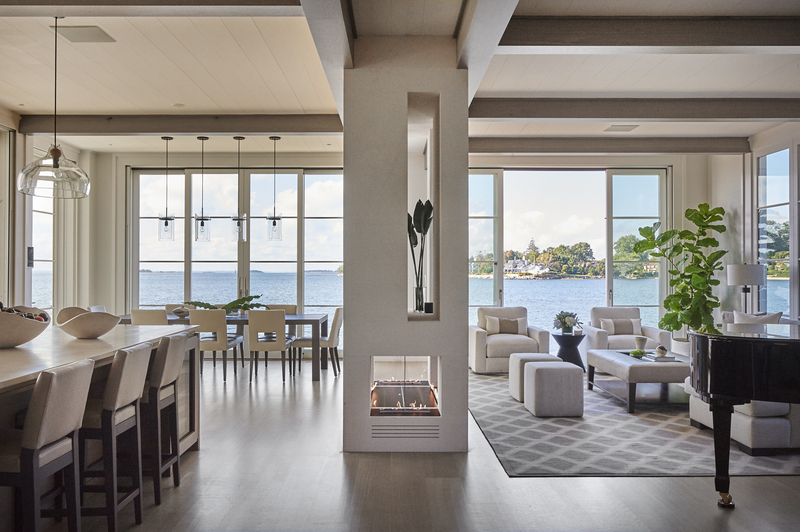 An open central living space with 12-foot ceilings combining the dining, living room and kitchen space opens up to the exterior dining terrace and pool. 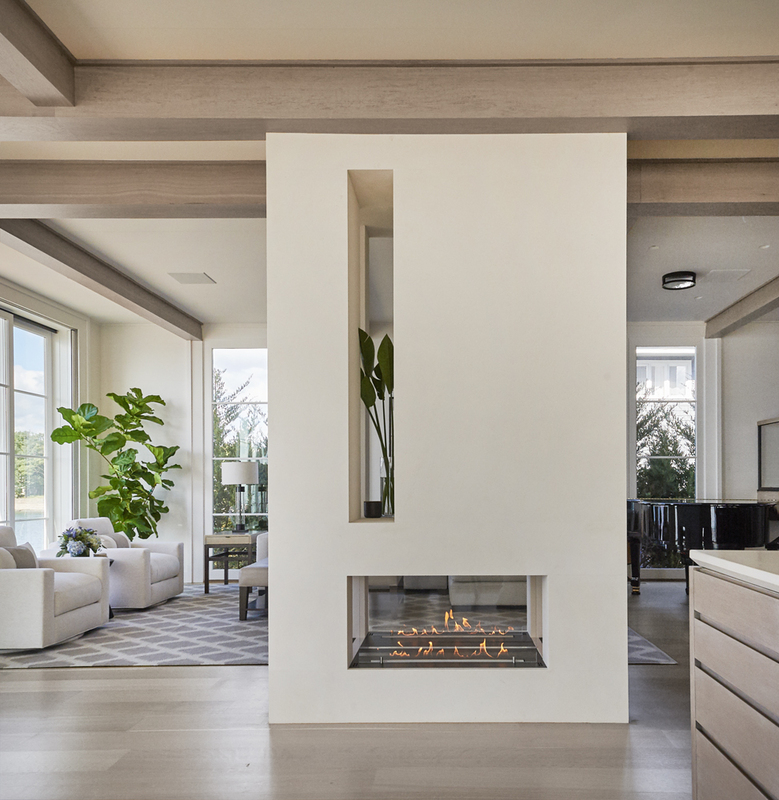 Rigorous attention to detail and finishes connects this 4,000 square foot house to its natural surroundings. 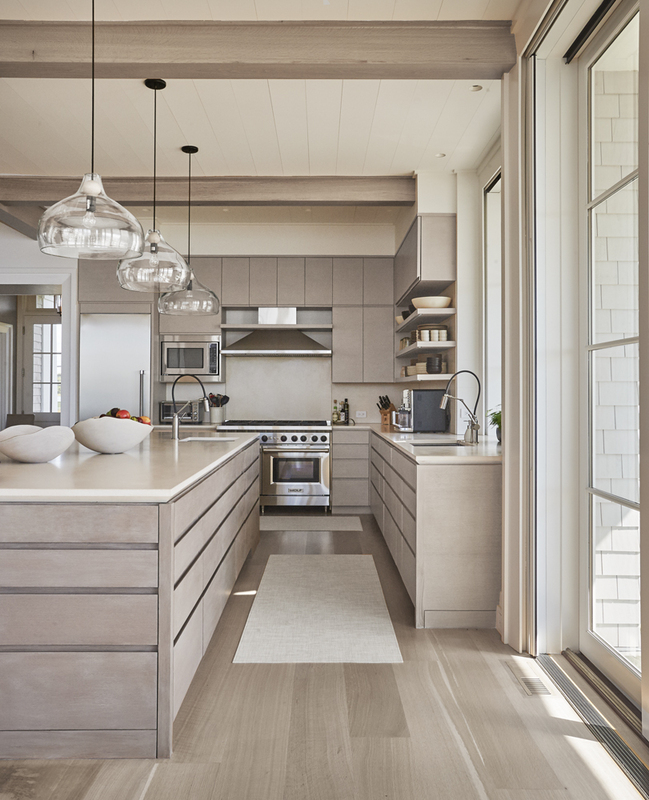 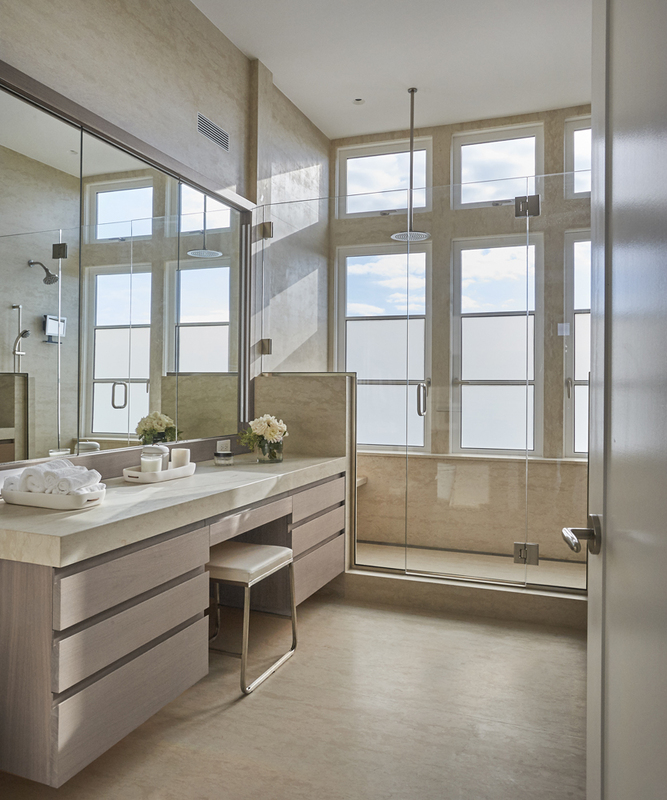 An interior palette of beige and taupe found in the sand-blasted limestone, Bulgarian marble and washed stained woods echo the sandbars and beach footsteps away.